Monarch Air Group provides private air charter in Oxnard, CA. Our clients benefit from top-notch service, unrelenting dedication to safety, wide selection of aircraft, and years of experience in chartering private jets. To obtain a free quote, please use our online quoting tool provided below, or call toll free 1-877-281-3051. Monarch Air Group provides private jet charter flights in and out of Oxnard, California, USA. 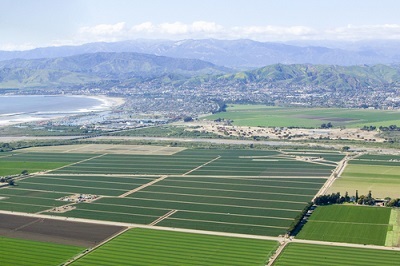 Oxnard is a city in southwestern California, northwest of Los Angeles, on the Pacific coast. With the population of about 203,585 people, Oxnard is the most populous in Ventura County and the 19th most populous city in California. The most popular tourist attractions include Channel Islands Harbor, Ventura County Maritime Museum, Oxnard State Beach and Park, Heritage Square, Mullin Automotive Museum, Carnegie Art Museum, Gull Wings Children’s Museum, McGrath State Beach, California Welcome Center, and some others. The nearest airports are Santa Barbara Municipal Airport (SBA / KSBA), which is located 48 miles from the city, Bob Hope Airport (BUR / KBUR), which is located 55 miles from Oxnard, and Los Angeles International Airport (LAX / KLAX), which is situated 65 miles from the city. 1. Comfort Inn near Channel Islands, 1001 East Channel Islands Boulevard, Oxnard. 2. Comfort Inn near Channel Islands, 1001 East Channel Islands Boulevard, Oxnard.